Travelling around with a recovering fractured shoulder is not much fun. Particularly if you have to load your heavy luggage on a train. But fortunately there is a free public service offered by the rail companies to get assisted help if you are disabled. Or is there? I had two opposite experiences going on holiday from Berkhamsted to Edinburgh. One showed the worst aspect of rail franchise companies, the other the best. 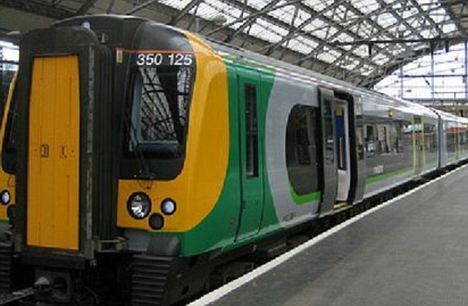 I contacted both London Midland and East Coast Trains by e-mail in advance for help. East Coast trains replied by return, saying my e-mail did not make it clear how much help I needed and giving me a number to ring them for more help. London Midland did not respond and never did. When I rang East Coast they could not have been more helpful. They took details of the trains, the seat reservation, and because I wasn’t sure how we would arrive at Kings Cross where to go to get assistance on the station. I then rang London Midland on a freephone number on their website. No reply, not even an answering service and finally a member of staff disconnected the call. So no help for the journey from London Midland. East Coast – despite the train being overcrowded because of two other cancellations at Kings Cross – kept their bargain. With the luggage space full, the porter obligingly moved the cases to the guards van. At Edinburgh Waverley there was a porter to meet us as we got off the train ( they wanted the seat reservations so he could meet us at our carriage). On the way back to Kings Cross exactly the same experience – the porter even found one case after another passenger had moved it. Is there a political point in this? East Coast is state owned, and seems to train its staff to beleive in public service. London Midland is not. It is a state subsidised profit making private operation – whom I have already crossed swords with issuing ” ghost tickets” at different prices from Berkhamsted. (see earlier blog on this site). My suspicion is that London Midland’s disabled help service is a fake, just a cyberspace invention on their website invented by their pr department, to make it look as though they care. Or perhaps their training programme for staff centres on how to lose e-mails and put down phones on customers, thus saving them any inconvenience or cutting into their large proft margins. Either way East Coast deserve congratulations, the managers of London Midland need their shoulders breaking. London Midland’s response is attached as a comment to this piece ( see above). This entry was posted in berkhamsted, Uncategorized and tagged disabled assistance, East Coast Trains, london midland trains, public service. Bookmark the permalink. I would firstly like to apologise for the problems you had when trying to avail of this service. I would like to assure you that this service does exist and a great number of our passengers avail of it on a daily basis. Currently the passenger assistance service is outsourced to an agency who also handles enquiries for Virgin Trains amongst others. It would appearthat the email you sent to them on the 09 August was never received so therefore no assistance was booked. Currently I am unable to give you a definitive answer as to why this occurred, however I can assure you that your complaint has been passed over to the appropriate Managerand we are currently awaiting a reply from them as to what caused the problems you encountered. Once I hear back from them I will contact you again. of you’re choosing. I will also be happy should you need it to arrange any assistance you may require. inconvenience you had and to also say thank you for alerting us to the problems you had. We value feedback regardless of whether it is positive or otherwise as this tells us where things are not working well so that we can take the appropriate action.